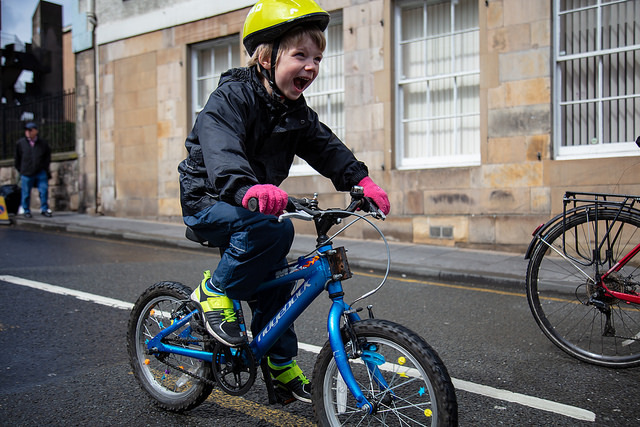 It’s been a bit more than a six weeks since this year’s fantastically successful Pedal on Parliament protests in four cities across Scotland, and the dust hasn’t quite settled yet. 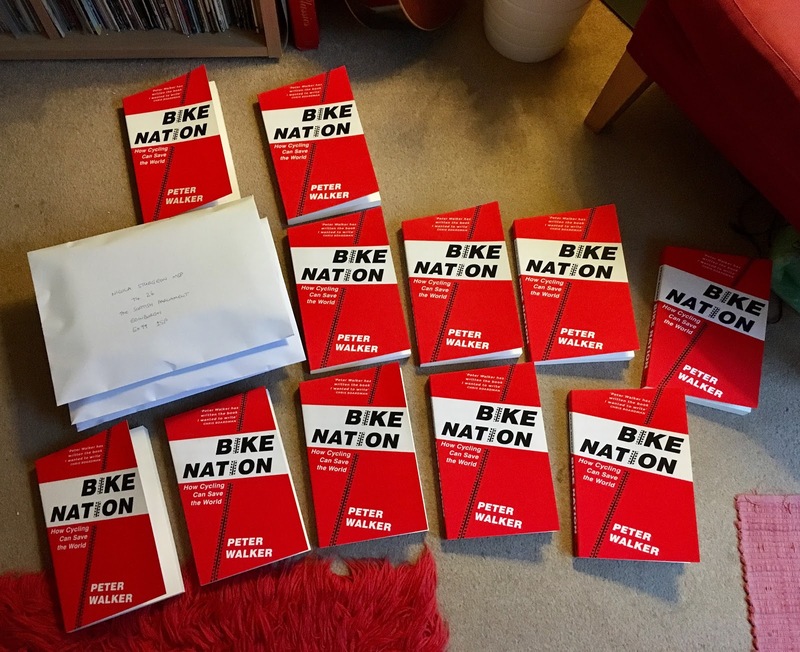 One of the rewards we offered for people donating to our crowdfunding drive was to have a copy of Peter Walker’s book “Bike Nation: How Cycling Can Save The World” sent to a politician. The PoP hive mind came up with a hit list both of people in places of power and those who just need a good dose of evidence, and we’re pleased to say that the books have been sent to the lucky recipients. As evidenced by the awful death of Zhi Min Soh in Edinburgh, and the recent news that transport emissions account for over half of Scotland’s contribution to global climate change*, Scotland’s leaders still have a long way to go in bringing transport into the 21st century. 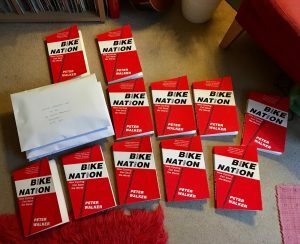 We hope that those we’ve targeted will be able to find a couple of hours to read Bike Nation, and absorb the message within. We think that Bike Nation does a fantastic job of setting out why our society needs to cycle more (the first chapter, about health, notes the research showing the almost miraculous reduction in risks of heart disease, stroke and cancer amongst those who cycle every day) and how we can go about enabling that change (you won’t be surprised to learn that the answer is: spend money on decent infrastructure). It’s bang up to date and very well referenced. We’ve stuck a PoP bookplate in the front of each copy with the name of the person who’s gifted the book. There is one book still to be sent – it’s earmarked for whoever eventually becomes the leader of City of Edinburgh Council (and if that turns out to be Adam McVey then we’ll send it to whoever ends up heading the city’s transport committee). We’ll update this post once it’s all sorted. If you live in a constituency or ward of any of the people in our list, please write to them in a couple of weeks and ask how they got on with the book, and how they intend to use what they’ve learned. It’s many small actions like this that are needed to tilt the balance of public policy towards a healthier, wealthier and happier nation. 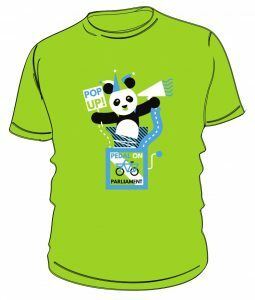 Let’s keep up the pressure, and keep pedalling! * PoP gave evidence at Holyrood about this issue. We’ll get a separate news item up about it in due course.